Folding Kings Preflop - Casino Answers! Pocket kings is one of the best hands in all of poker and players understandably don’t ever want to fold them, but is that sometimes the right thing to do? Should you not only fold kings, but do so pre-flop? Before we answer this question, why don’t we answer a similar one: should you ever fold queens preflop? The answer here is clearly “yes,” but only rarely is this is a good decision. Queens are a strong hand – they are ahead of an opponent who is playing ace-king, and many players are very loose and play hands like ace-queen, pocket jacks, or trash hands for all their chips. The only reasonable situation in which queens are behind is when a very tight player has reraised you all in and you suspect that he has either aces or kings. In this case, you should fold queens. But, what about kings? In a cash game, you should never fold kings. There is simply too big of a chance that your opponent has ace-king, queens, or has lost his mind. Sure, you get it in against aces sometimes, but when you have aces, you will win money from players with kings as well. In this respect, kings versus aces is a wash, since both players will be getting it all in even if the positions were reversed. Even though you fear aces when you have kings, you should not ever fold them. Even against the very tight opponent who only reraises with aces or kings, you are probably not going to fold kings. For one, even very tight opponents reraise with ace-king or queens. Additionally, your very tight opponent might be playing very loose this hand without you knowing it. Either he is tired of being tight, on tilt, or he’s done for the night and ready to lose the rest of his money. The exception is when you are playing in a satellite tournament and you are risking too much by playing kings. If you have a sizable stack and one of your opponents is likely to bust out in the coming hands, even playing aces might be a mistake. Think about this, the odds of getting pocket kings in any hand is 221-to-1 (the same as pocket aces, funny how that works). Now, the odds of you having pocket kings and your opponent having pocket aces? 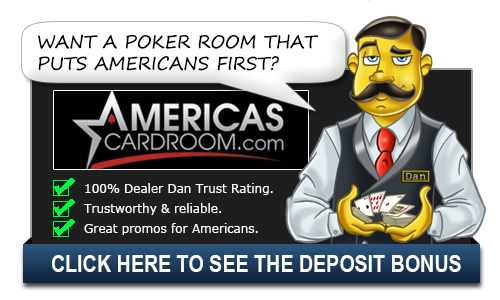 Depending on the amount of players at your table, there is only a 0.48% to a 4.32% chance of one of your opponents having pocket aces. So while the odds are certainly there that your opponent has pocket aces, they aren’t great and you are still in a very dominating position with this hand. At the end of the day, pocket kings are almost too big of a hand to fold pre-flop. Unless you are in a position where you don’t feel like this is the “right” hand to go all-in or something else of that nature, you should stay in the hand.